The Dramatic Rise of Wine Branding in California | Owen, Wickersham & Erickson, P.C. The rise in prominence of California wines over the past half century, particularly those from the Napa and Sonoma Valleys, has indeed been dramatic. A telling element of the rise to distinction has been the evolution of wine branding in California: the special attention to house brands and creation of sub-brands, the increasing importance of American Viticultural Areas (AVAs) as appellations or sub-appellations to burnish a wine’s provenance and exclusivity, and the emergence of striking labels that feature fine art or wow-factor graphics. The story is one in which Mel Owen and the firm of Owen Wickersham & Erickson have been privileged to play a supporting role over at least fifty years. Fittingly, the story is rich and complex, while at the same time big and bold with spicy notes of American capitalism, Madison Avenue, and vintage California innovation at work. 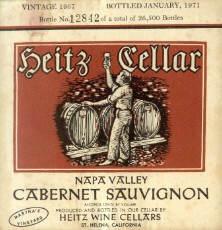 California’s wine history is colorful and multi-cultured, beginning with the Franciscan missionaries planting Mexican vines in Southern California in 1779 – so-called “Mission grapes.” By the mid-nineteenth century European varietals were introduced, notably by Hungarian immigrant, Agoston Haraszthy, who later started the Buena Vista Winery in Sonoma. The evolution and continuing development of California’s wine industry was arrested during Prohibition in the 1920s, but it began to grow again with the end of Prohibition in 1933. Innovation in the naming of wines arrived late to the wine party. In keeping with European (mostly French) conventions, the wine producer was identified on the label – e.g., Buena Vista, Charles Krug, or Inglenook – and not much else other than perhaps the name of a safe, well-known, and familiar regions borrowed from Europe, e.g., Burgundy, Chablis, and Champagne. In the 1950s and 1960s, largely credited to nationally-recognized winemaker and innovator, Frank Schoonmaker, the practice began of labeling wines with their varietal names, not merely the European regions. In the 1960s, still early in the act, OWE landed a supporting role, played by wine trademark pioneer, Mel Owen who, in the course of his storied career advising hundreds of wineries and wine producers, has seen the entire wine-branding pageantry play out. One of Mel’s first wine clients was Almaden Vineyards, reputed to be the oldest winery in California. OWE assisted Almaden with a number of its branding innovations on several fronts. It obtained a design patent for Almaden’s signature “teardrop-shaped” large wine jug. In recent decades the traditional wine bottle has seen many experiments in shapes, from the weird to the whimsical, although none threaten the traditional wine bottle shapes in large measure due to the way wine is stored, boxed, shipped, and put on display on crowded store shelves. With the assistance of Frank Schoonmaker, Almaden began marketing a number of varietals under the ALMADEN brand, including Cabernet Sauvignon, Chardonnay, Riesling, Zinfandel, and Merlot. 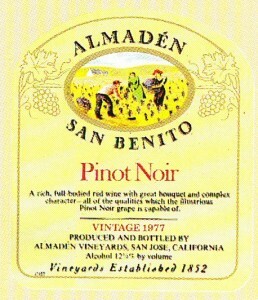 But Almaden also successfully sub-branded blends that it created, notably one of the first blush wines in California which it successfully sold under the WHITE GRENACHE ROSÉ trademark. The CLOS DU BOIS brand, founded in 1972 and federally registered by the OWE team, is emblematic of the California wine industry’s search for its true identity emerging from the shadows of staid French traditions. The name itself, CLOS DU BOIS, while obviously tipping its hat to the French, means “enclosure (or vineyard) in the woods,” avoiding the usual surnames or geographic descriptors. In addition, Clos du Bois successfully exploited to commercial advantage, as did many California wineries to follow, the freedom found in California, but not in France, to create blends and brand them. French law prohibits the blending of varietals and consequently the branding of such blends. Letting freedom flow, a number of noted California blends were created and registered under the CLOS DU BOIS house brand, including MARLSTONE, CALCAIRE, and BRIARCREST. The famous “Judgment of Paris” in 1976 profoundly impacted the world market for California wines and particularly how those wines would be marketed and differentiated. In a blind tasting in Paris, two California wines were winners with Stag’s Leap Wine Cellars – its 1973 Cabernet Sauvignon coming out on top of all the red wines in a competitive field of French icons. 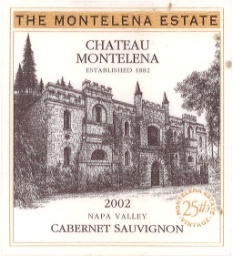 The other California winner was Chateau Montelena. 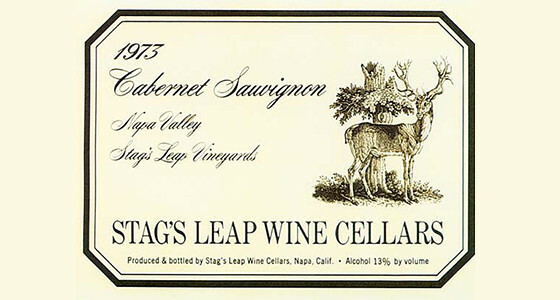 Stag’s Leap Wine Cellars – a client of OWE for many years until sold in 2007 – had only been founded in 1970 with its first release in 1972. 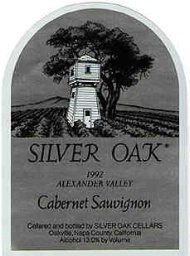 As a result of the Judgment of Paris and the explosion of winemaking in California, more labeling attention – and premium values – were placed on the specific AVA for marketing purposes, while at the same time the number of AVAs expanded, all for the purpose of differentiating and adding the allure (and corresponding price points) of well-known AVA names with their fabled terroirs. Napa Valley, itself an umbrella AVA so designated in 1981, now has sixteen sub-region AVAs created since then (dates in parentheses below), all of which have their own unique terroirs and brand-differentiation nuances: Los Carneros (1983), Howell Mountain (1983), Wild Horse Valley (1988), Stags Leap District (1989), Atlas Peak (1992), Spring Mountain (1993), Oakville (1993), Rutherford (1993), St. Helena (1995), Chiles Valley (1999), Yountville (1999), Diamond Mountain District (2001), Oak Knoll District of Napa Valley (2004), Calistoga (2009), and Coombsville (2011). With the increasing significance of AVAs came the more frequent use of the same geographic designation used both in the trademark (exclusive to registrant) and the AVA (used by anyone in the AVA). CHALK HILL and Chalk Hill AVA are designations that are both a trademark (first registered by OWE in 1987) and an AVA for the region in Sonoma County. Only Chalk Hill Winery may use CHALK HILL in a trademark presentation on the label. Other wineries are free to accurately state that they are in the Chalk Hill AVA, but in text and font that is geographically informational only, i.e., no “CHALK HILL” in ALL CAPS or stylized font. Differentiation has also increased in how vineyard designations are used on labels. An example of where a vineyard designation also acts as a trademark is HUDSON VINEYARDS, a trademark registered by OWE for both wine (class 33) and fresh wine grapes (class 31). The HUDSON VINEYARDS grapes are grown in the Carneros AVA, but the freshly-harvested fruit is sold under the trademark (and hence the class 31 registration) to producers with house marks like KONGSGAARD, KISTLER, RAMEY and some 24 others who proudly tout that the source of their grapes is Hudson Vineyards. Federal law requires that at least 95% of the grapes come from the source identified in the vineyard designation. In addition to the rise in trademark names and AVA designations, the visual presentation on wine labels – or visual experimentation in distinguishing one label from another so as to capture a wine’s overall brand mystique – has also dramatically evolved over the past few decades. Wineries and wine producers have sought at a minimum, to refine their distinctive logos. Going beyond sharp graphics in logos, modern wine marketing has seen an explosion of fine art covering the entire front label, turning the bottle into a gallery wall. Sometimes the featured art is from the vineyard’s current “artist in residence,” equating the winemakers to patrons of the arts. The goal of course, is to stand out and, better yet, suggest a powerful yet intangible connection between fine art and fine wine. 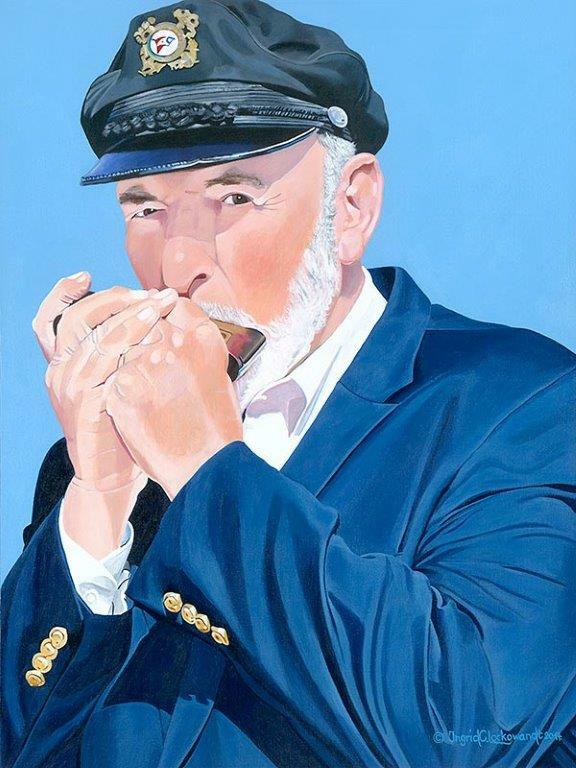 OWE client Clos Pegase Winery has produced for years an HOMMAGE artist series, featuring the art of world-famous artists. The winery itself is an art-inspired architectural showcase, and the beautiful Calistoga winery grounds are covered with sculpture and other art, giving its visitors an unforgettable taste of wine and art together. While the wines have become more culturally refined, so have the venues, as bucolic vineyards themselves have been repurposed into popular showcases for bringing wine and music together. Bruce Cohn, longtime manager of the Doobie Brothers, is a noted pioneer for such vineyard events. Since 1987 the B.R. Cohn Charity Fall Music Festival at the Glen Ellen winery has been host to thousands gathered in a beautiful vineyard setting in order to bring enjoyment of top performing acts benefitting charitable causes. Along with registering marks for B.R. COHN wines and olive oils, the firm registered the B.R. Cohn-produced DOOBIE RED in 2009 for the Doobie Brothers. DOOBIE RED is a big hit, and not a miss, if you want to “listen to the music” before “rockin’ down the highway” – with a designated driver, of course. In the mid 1960s when Mel Owen first began helping wine producers with their trademarks, there were approximately 260 bonded wineries in California. Today there are close to 3800, a fifteen-fold increase. It is safe to assume that the number of California wine marks in California, now versus then, is proportionally even higher, with the number of marks registered being tens of thousands, although many are not currently active. The stunning increase in brands is particularly true where it’s common today for so many of those new wine producers to have their basic house brands and, then, unlike their predecessors of fifty or more years ago, multiple sub-brands. Some additional, well-known wine trademarks that have been registered or maintained over the years by OWE, and whose brand images have only improved with age, include BOGLE, BONNY DOON, CLINE CELLARS, CONTINUUM, CHAPPELLET, FISHER VINEYARDS, HARLAN ESTATE, HEITZ CELLAR, IRON HORSE, LADERA, MERRYVALE, PRITCHARD HILL, SINSKEY, SILVER OAK, STONY HILL, SWANSON VINEYARDS, TREFETHEN and, so many, we may never stop pouring.